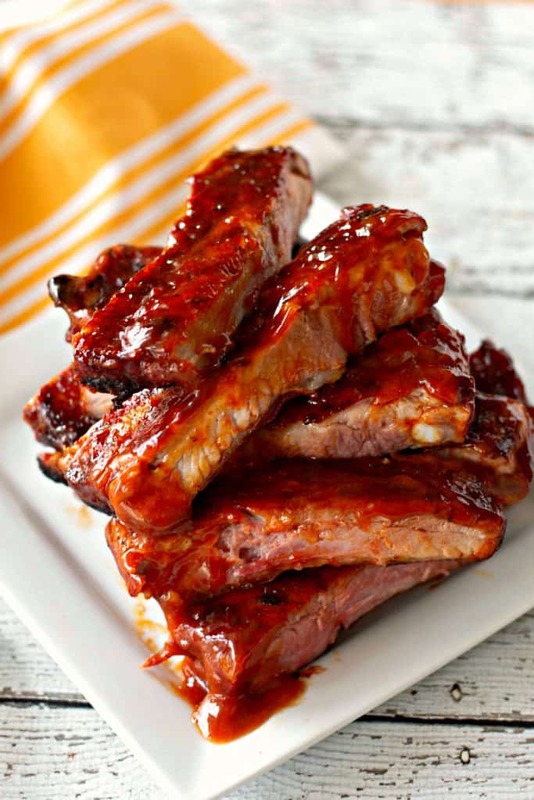 Is there anything better than a rack of tender, flavorful, juicy ribs? It’s just the perfect meal to dig into! I’m sure you’ve probably had ribs in restaurants before, but did you realize you can make amazing ribs at home on your grill? Personally, I was surprised by how easy this was to do! 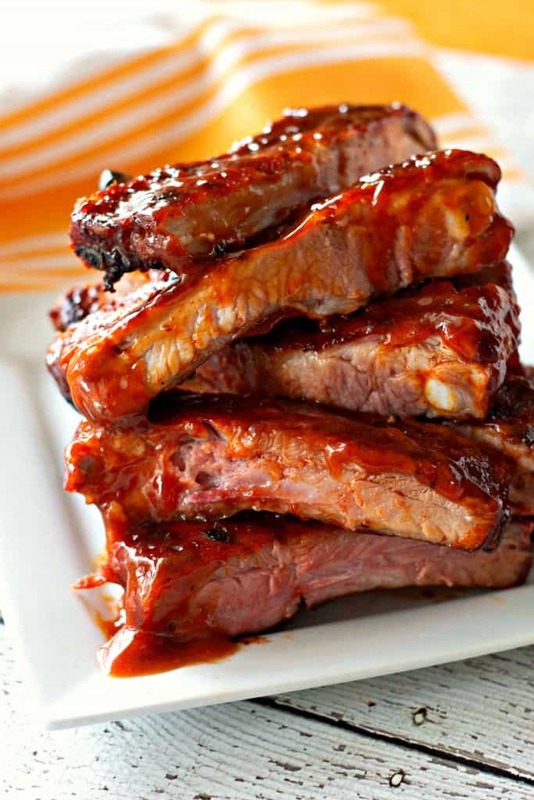 There are so many ways to cook ribs, but don’t be intimidated. 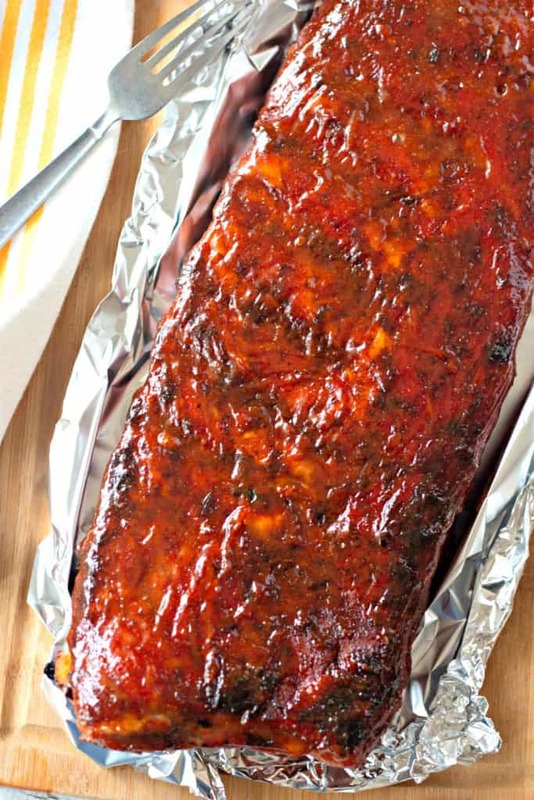 You can absolutely make awesome ribs at home. 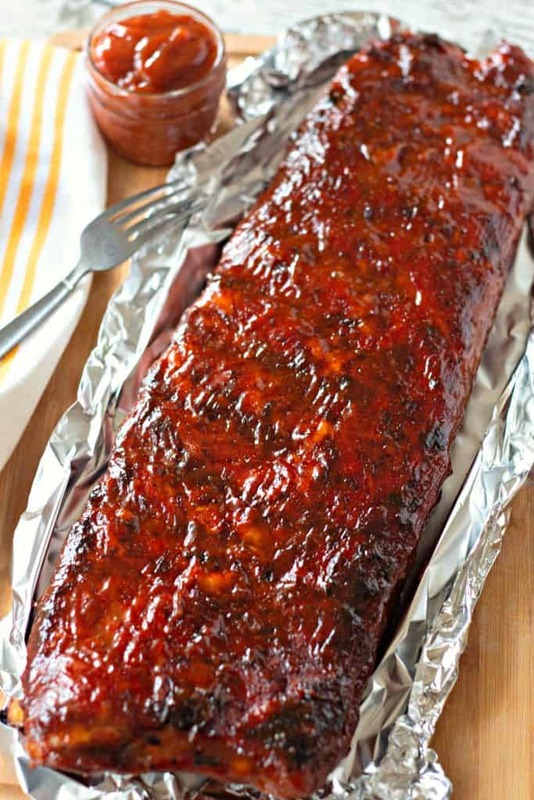 These ribs are perfect! I found them to be really easy to work with and pretty much grill ready after just applying a homemade spice rub. They were nicely trimmed, so it made my work in the kitchen really simple. 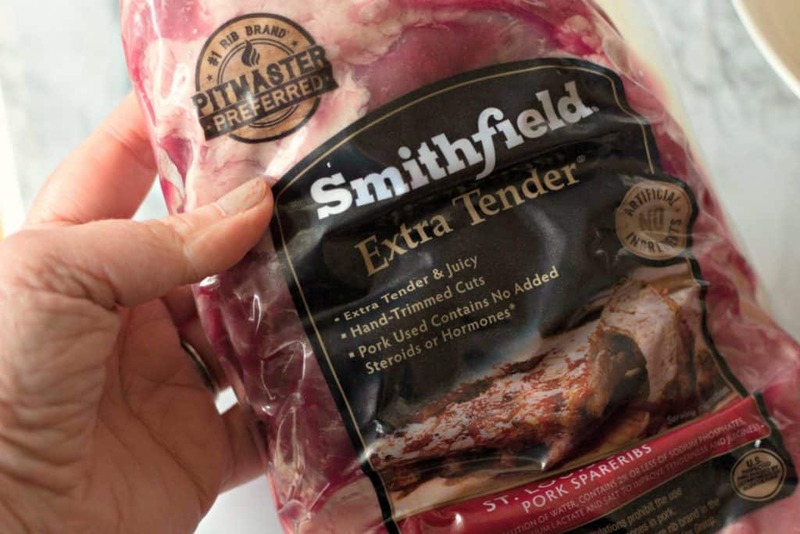 Smithfield Extra Tender ribs were the secret weapon in grilling amazing ribs! 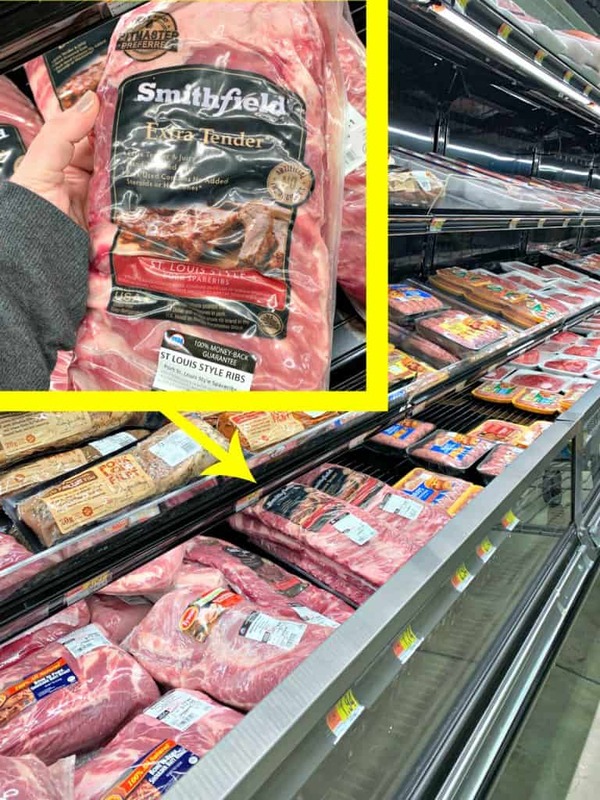 I’ll tell you how I grilled mine in the recipe below, but you can also find great cooking instructions right on the back of the package. Next, I dried the ribs with paper towels, placed the ribs on a foiled lined baking sheet, then rubbed them with honey and the spice mixture. Grilling the ribs was easy. We heated the grill up to 250 degrees and then turned the burners off on one side of the grill. 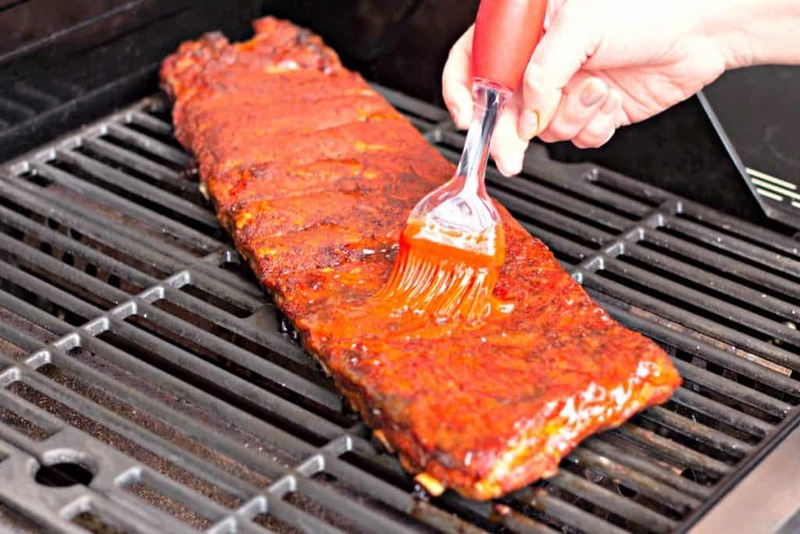 The reason for this is that you want to grill your ribs over indirect heat. This means the heat on one side of the grill will cook your ribs on the opposite end of the grill. Low and slow is the way to go! 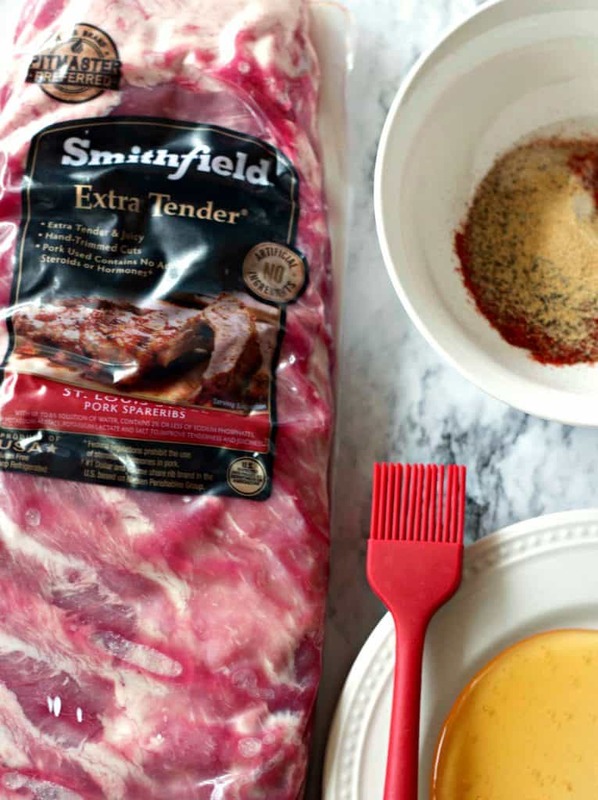 You’ll have more tender ribs with this method than you would at higher heat. 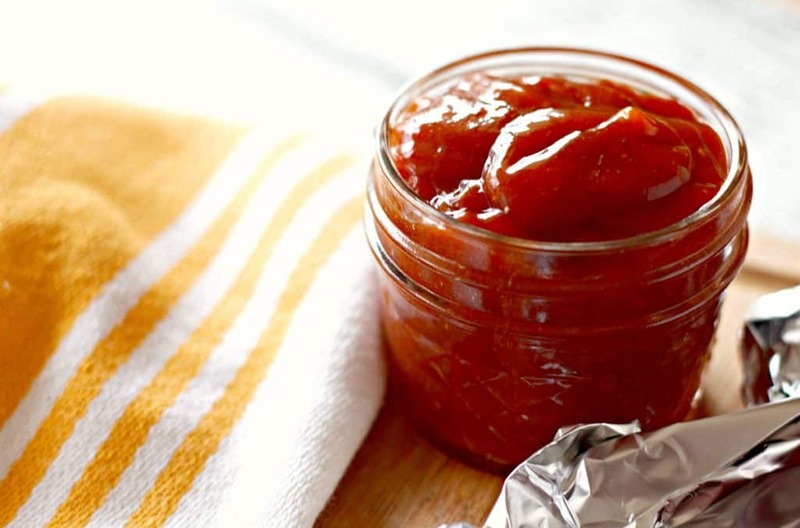 Homemade BBQ sauce is easier than you might think! 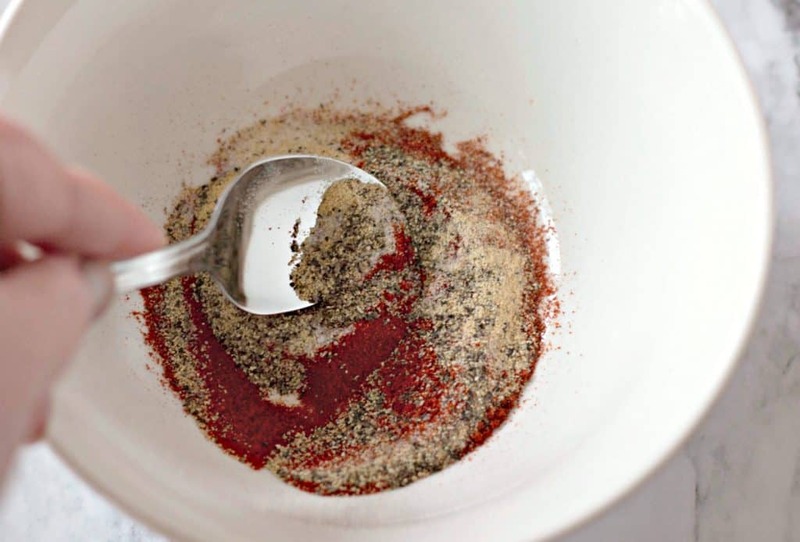 You’ll just add your ingredients to a blender or food processor and blend until smooth. 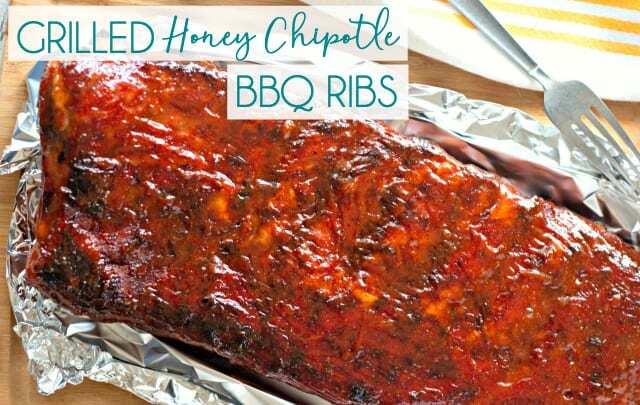 My honey chipotle BBQ sauce recipe is plenty to brush on your ribs and also have some left over for those who want extra sauce. 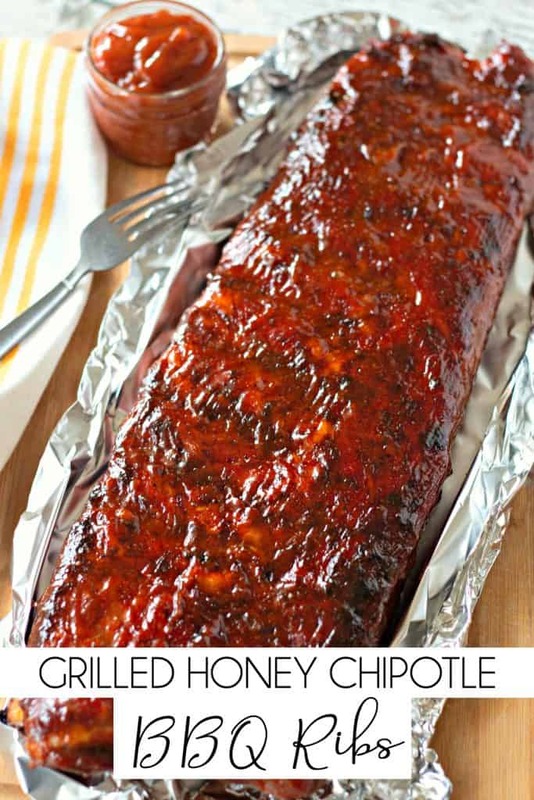 I’ll be honest, I had to throw out my first batch of BBQ sauce when creating this recipe. It was soooo hot! I went a little heavy on the chipotle chiles and WOW was the sauce spicy. I recommend going easy on the chiles because there will already be heat from the spice rub. Start with a tablespoon of chopped chiles and then you can add more if you want more heat. If you like the spice, go for it! 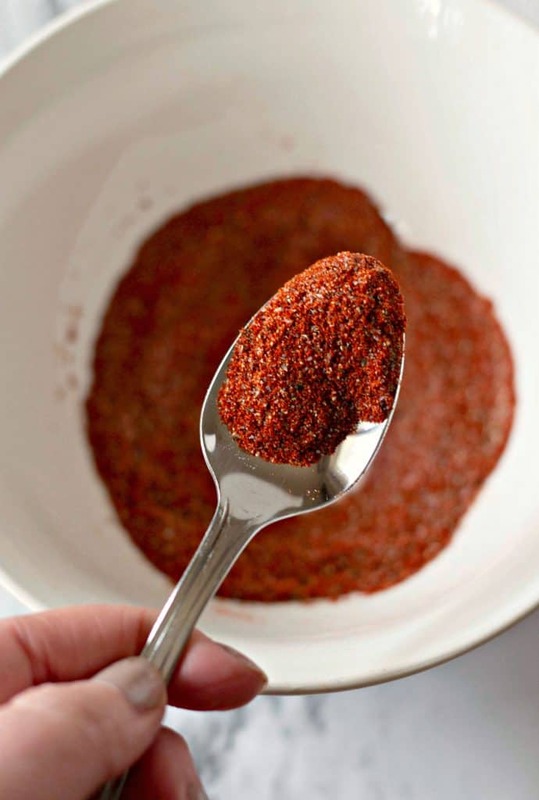 If you’re not a fan of spicy foods, you may want to back off on the chipotle chili powder in the spice rub and even skip the chipotle peppers in the BBQ sauce. 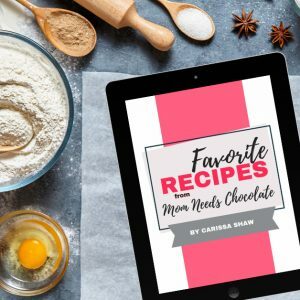 It will still be delicious! 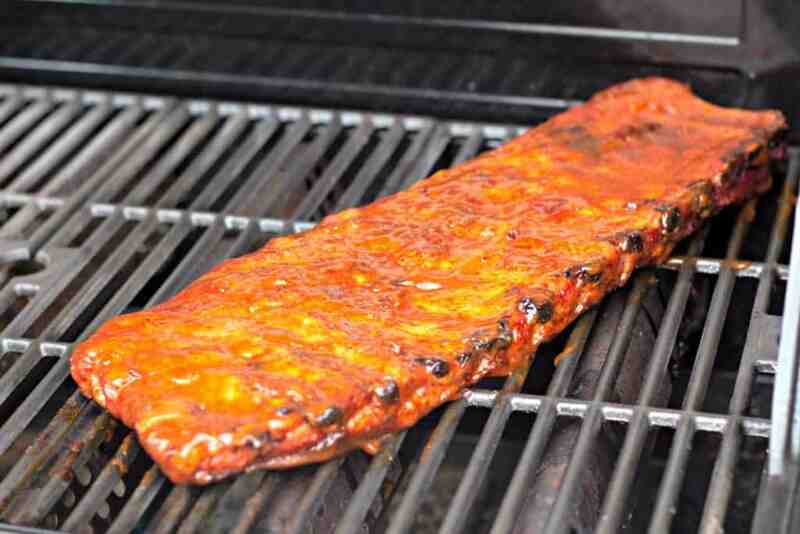 The ultimate goal is to get the ribs to about 190 degrees for tenderness. Once the ribs were at 175, I opened the grill and increased the heat. This is because I really wanted some nice gill marks and to bring the temperature up a bit quicker at the end. I basted the ribs on both sides very generously with the BBQ sauce, then grilled them until I could see some grill marks and the internal temperature reached 190 degrees. Then I basted the ribs one final time with the sauce. 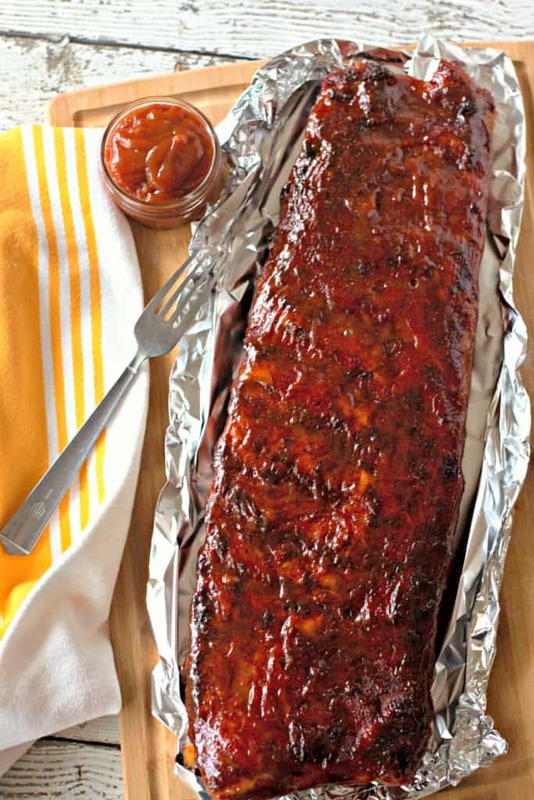 When finished grilling, I placed the ribs onto a clean baking sheet lined with foil (not the same baking sheet that I used when prepping the raw meat) and let them rest at room temperature for a few minutes before cutting the ribs. 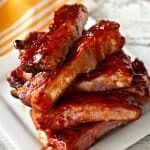 After you make and enjoy your ribs, come back and tell me how much you loved them! 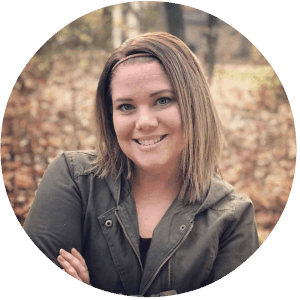 You can leave a comment below, or snap a picture and add it to Pinterest by clicking here to see the pin.